Posted Monday, May 21st, 2012 by Robyn Warner. In the past, printers were typically very large and expensive, as manufacturers had not yet figured out how to fit all of that power into a compact frame. Dot matrix and laser printers were just about the only option until the late 1970s, when a different type of machine started to be developed. 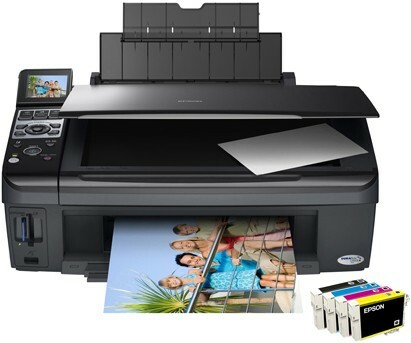 From innovators like HP, Canon and Epson, inkjet printers burst on to the market in 1984, but reached optimum popularity in 1988 when HP introduced the Deskjet line of ink-based personal printers. Though it cost as much as $1,000 at the time to own one of these inkjet printers, it didn’t take long for the technology to advance and for other companies to jump on the bandwagon, while prices began to shrink. By the 1990s, inkjet printers had virtually silenced the dot matrix printing industry and began to compete with standard laser printers. Inkjet technology works completely differently from laser technology, as it is dealing with liquid ink rather than powder toner. Instead of attracting toner to the paper, as with laser printing, inkjet printheads are moved across the page, dropping small droplets of ink as they move from side to side. The ink is expelled as the printer creates a vapor bubble, which forces a drop of ink onto the page. The fact that this happens more than thousands of times per minute is actually quite astounding. By applying multiple drops of different colors at different ratios, virtually any color can be created, and the result can be a fully-formed image or just simple text characters. 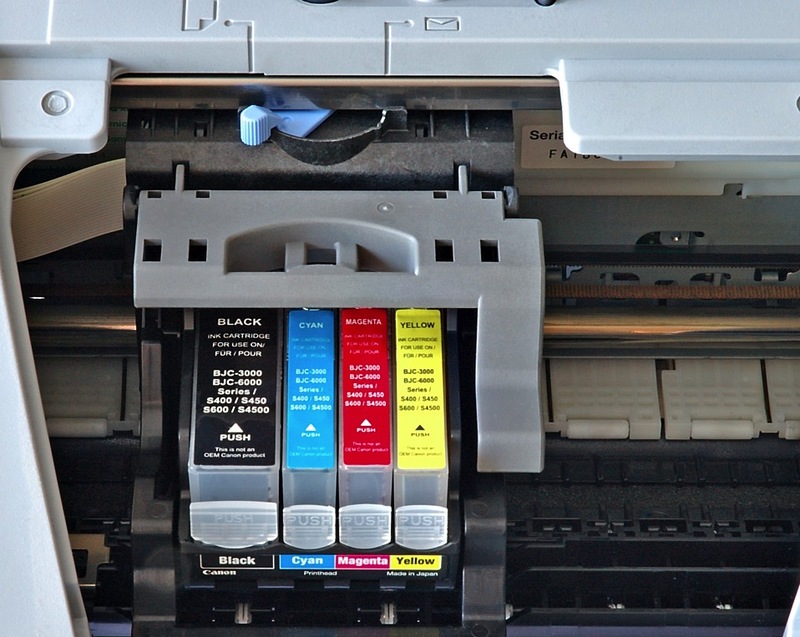 Many modern inkjet printers use 4 separate cartridges for less ink waste. Most older inkjet models featured only two ink cartridges – one that held black printer ink and one combined cartridge that held cyan, magenta and yellow. More current models on the market offer a separate cartridge for each color, minimizing the amount of ink that is wasted. Some more advanced models even use 6 colors or more for even more detail and a wider color gamut. One of the biggest drawbacks to inkjet printing is that ink cartridges tend to be much more expensive on a per-page basis than laser toner cartridges. Manufacturers had long held a monopoly on their supplies, and fostered the idea that cartridges made from other manufacturers might be incompatible or even damage the printer. When compatible and remanufactured cartridges came onto the scene, the game changed. Big manufacturers that were developing these machines now had to compete with prices of third-party vendors. Though some consumers always prefer to have name-brand products, the flip side to that is the fact that approximately 1.8 billion ink cartridges are currently residing in landfills and can take up to 1,000 years to decompose. The remanufactured options reuse the cartridges and avoid unnecessary waste. Thankfully, many organizations and even the major manufacturers now offer recycling programs to help reduce waste.